The Reach Out Food Pantry is volunteer-administered and operated on Fridays. The pantry attempts to provide several days of meals to each family, depending on the size of the family and the stock available in the pantry. 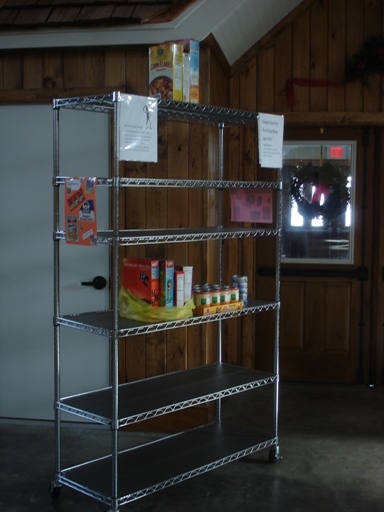 The pantry provides all foods and additional items (such as hygiene items) free of charge to the recipients. The Reach Out Food Pantry is God’s Word in action, feeding those in need whether it is temporarily or permanently. Hours of Operation: Every Friday of the month: 2:00-5:00 p.m. Closed if Hyde Park schools are closed due to weather issues. Income Guidelines: The Reach Out Food Pantry follows the income guidelines established for USDA distribution and is provided to us by the Regional Food Bank. Recipients may visit the Reach Out Food Pantry one time per month. Recipients sign a receipt for the food pantry records each time they receive food. We collect items in the church foyer and the youth center gym on the first Sunday each month, January through October. - Hygiene Products such as toothpaste, denture products, feminine products, tissues, toilet paper, etc. Thank you all who faithfully support the Food Pantry ministry.